Join Lexi Daly as she takes you back to the 1980’s! 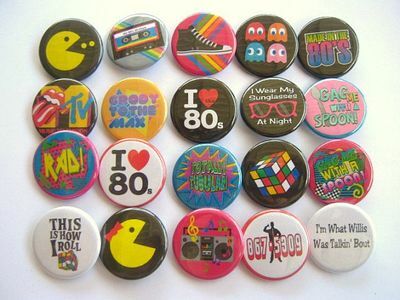 You can check out Lexi’s complete 1980’s Pinterest board HERE! Welcome to the 80s – the awesome 80s! Big hair, acid washed jeans, Madonna and Michael Jackson. The music of the decade was upbeat and catchy for the most part, always fun to sing out loud. 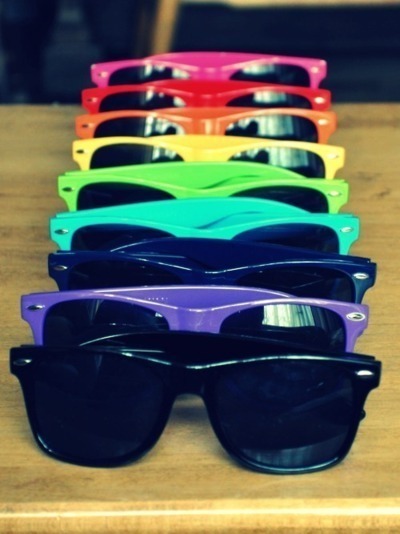 Everyone knew Jenny’s number and we all wore our sunglasses at night. My teens sing along to many an 80s song without even realizing they’re #old! Mix tapes and boom boxes were big and we all wanted our Mtv, back when it was all music and veejays, launching in 1981 with the debut of “Video Killed the Radio Star.” I loved catching my dad sneaking a peek late at night! We tried to solve the Rubik’s cube without taking it apart or moving the stickers around, while video games and gaming systems became more accessible and sophisticated – Donkey Kong, Tetris, PacMan, Frogger. And personal computers entered the scene, bringing new meaning to the wordapple. But we still enjoyed many simple things, like sticker collections, rainbows, decorated shoe laces, My Little Ponies – and Cabbage Patch kids?! We had sugary breakfast cereals, fruit striped gum, colorful fruit Runts, Razzles, and Pop Rocks – but don’t eat those with coke or your stomach might explode! We talked to our friends on our colorful, see-through phones. Unless the line was busy. 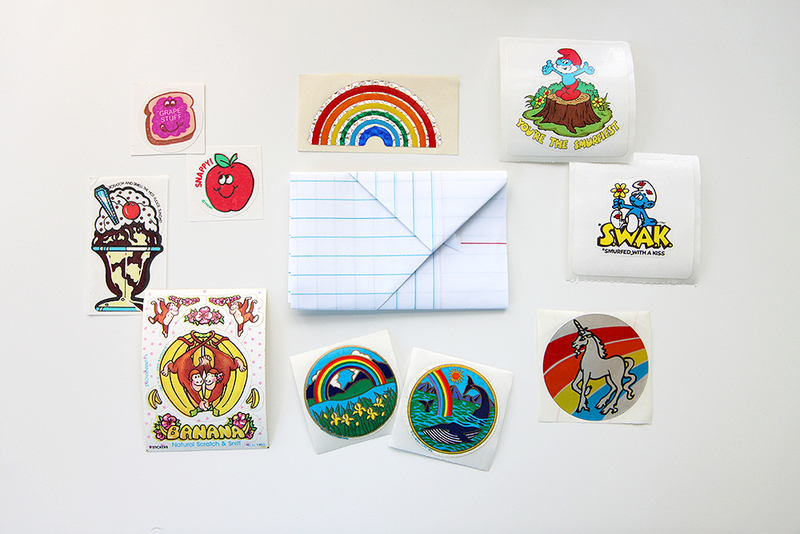 Then we wrote notes, folded them in clever ways, S.W.A.K., and stuck smelly stickers on them. Or rainbows and unicorns. Or Smurfs. And then we delivered them at school the next day. We played M.A.S.H. I was sure I would live in a Mansion in New York with my husband Andrew and our 10 kids, driving my VW Bug to my job as an Artist. At the end of the school year or camp, we signed autograph books and told our friends to K.I.T. (keep in touch) and Stay Sweet! I could go on and on, but the time on my Swatch watch is ticking! Clearly, pop culture ruled the decade, and while I don’t really need to wear parachute pants or tease my bangs so high ever again, I, like, totally heart the 80s! Below you will find a Spotify playlist that has been put together just for the 1980’s! There’s enough music to entertain you for over two hours while you are working on your challenge projects! There was an explosion of color in the 80s and rainbows were everywhere, from clothing and decor to logos, toys, and even postage stamps. Rainbows in their actual form, paired with unicorns and cats, and rainbow patterns, striped and repetitive. Rainbow heart sweaters and shoelaces pop up on almost every 80s search. 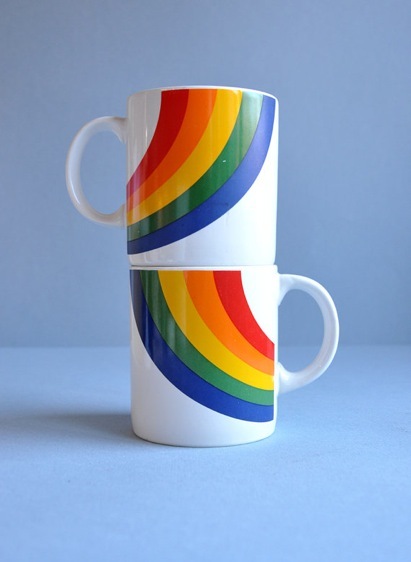 While rainbows really haven’t ever gone out of style, they definitely had a special place in the 80s. One item i remember fondly is the Trapper Keeper, so I thought I’d create a card based on it, complete with a gift card pocket inside. Be sure to watch the whole video – I have a few more 80s rainbow cards and the pins that inspired them at the end! 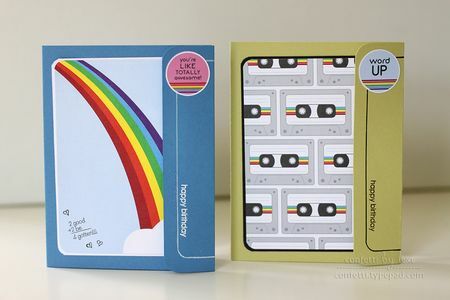 You can create your own rainbow themed Trapper Keeper card like the one I demonstrated, or you can find inspiration from another 80s rainbow product or image for your retro rainbow card or project. 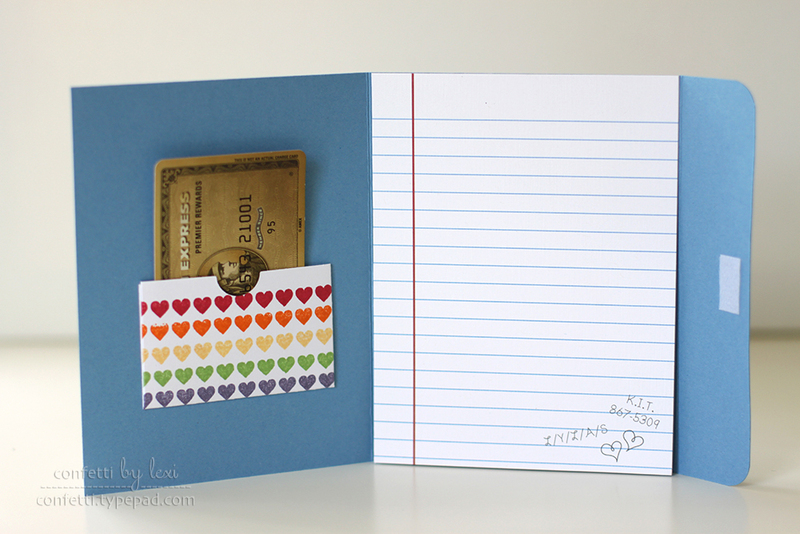 You have lots of rainbow options at your fingertips if you purchased the kit. 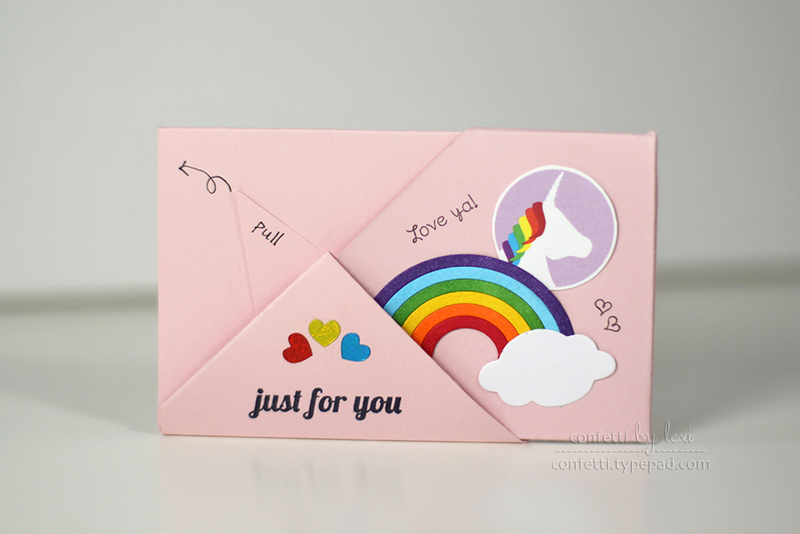 If not, look at the stamps and dies you own – cats, unicorns, hearts, stripes? 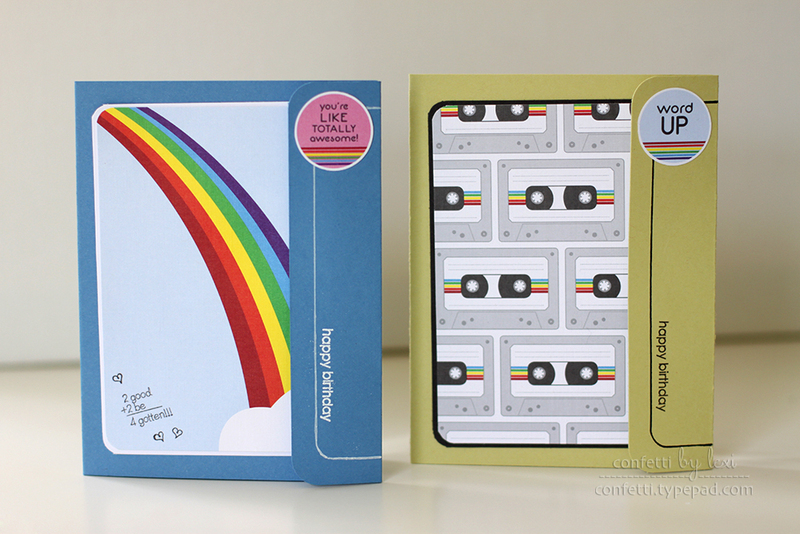 – you’re bound to have something for a perfectly retro rainbow! –Now it’s your turn! Create a card that features a retro-styled rainbow. You can choose to re-create an exact project from the designer above or design your own. Your project must also incorporate at least one Papertrey product. In a time before cell phones and texting, kids passed notes across the classroom and through the halls. Do you want to go out? Check yes or no. Who’s your biggest crush? And even acronyms, L/Y/L/A/S and K.I.T. There was definitely an art in passing them without being intercepted by the wrong person (like Jake in Sixteen Candles!) or confiscated by a teacher, but the true art of those notes was in folding them. 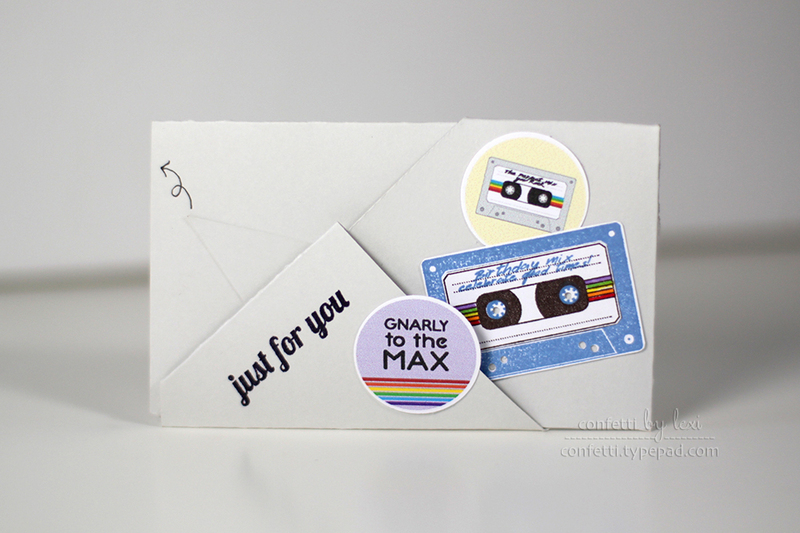 I will be showing you three retro note folds, plus a folded note gift card holder based on one of the folds and tips for creating mini folded note embellishments. It will be, like, totally awesome! My 13 year old vowed to write cool folded notes as soon as school started! Practice the three types of retro note folds and then try your hand at creating the folded note gift card holder and decorating it for your bff’s birthday, or fold up a few minis and use them as embellishments! Remember, heavyweight card stock is great for the gift card holder, but requires a little extra attention to scoring and folding. Text weight paper is best for those cute, little folded embellishments – 4″ x 5-1/4″ is a great mini-page size to start with, but you can play with different sizes as well. Bonus if you have an 80s style sticker to finish it off! –Now it’s your turn! 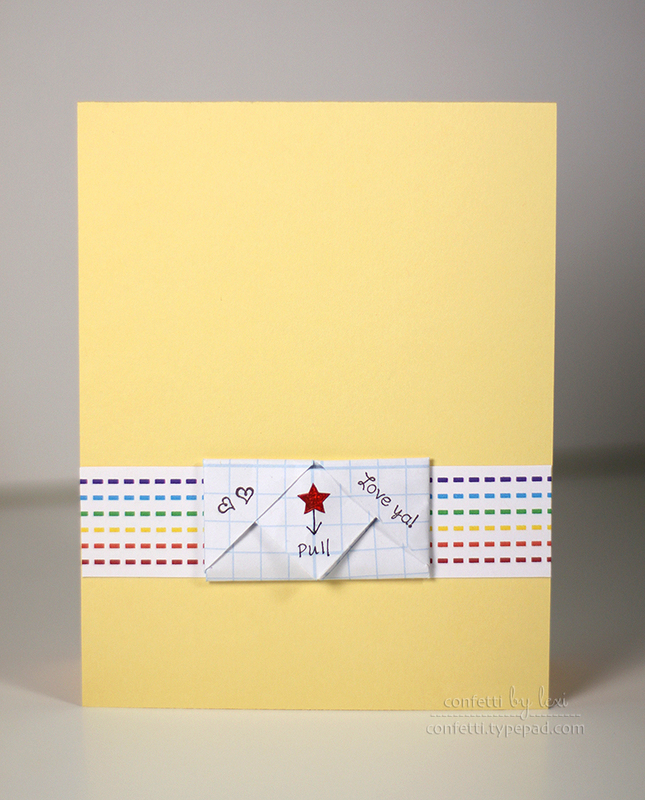 Create a project that featues one of the note folds featured in the video. You can choose to re-create an exact project from the designer above or design your own. Your project must also incorporate at least one Papertrey product. Thanks for joining Lexi Daly on this journey! We look forward to seeing your projects! 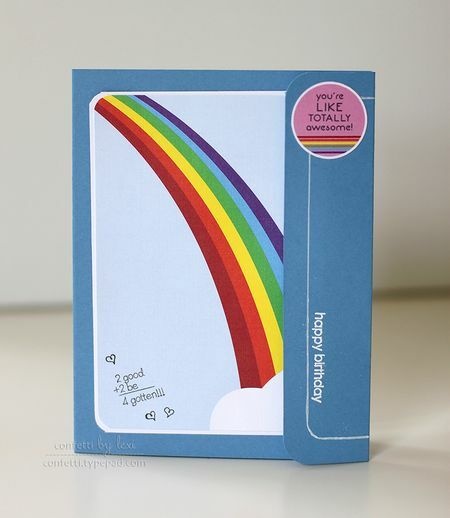 Thanks for the inspiration Lexi– I love the rainbows and the gift card idea is great!! Lexi, What a fun kit and super videos. Thanks so much for the challenges. I’m looking forward to recreating 1980’s memories! 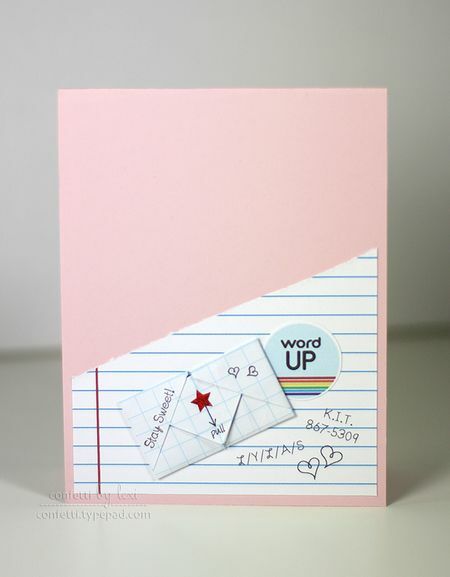 Love the fun notes – can’t wait to give this a try! Thanks Lexi! Oh my, I flipped when I saw that first rainbow trapper keeper. That was amazing!! SO many memories!! Fun challenge!! I can’t wait to come back and try of these fun ideas! Lol, oh my! The memories are flooding through! 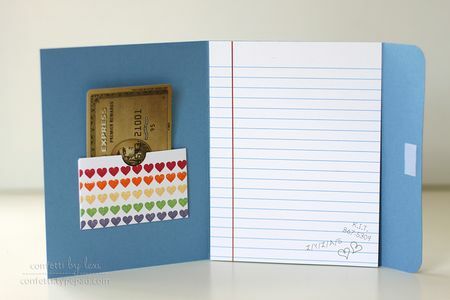 OMG I can’t believe you made a Trapper Keeper card — totally awesome! Really brought back some memories! Love your playlist – brings back so many memories!Great challenge; I will give it a try. omg i remember having that exact trapper keeper as a kid. I loved them and my nick name in elementery was rainbow bright and yes I was born in 1972. I also remember doing the paper folding it would be come a joke to see who could make the hardest one to open and the smallest. thanks for reminding me of the wonderful memorys. Lexi, thank you for all your research, you certainly brought back many memories for me and my friend! thank you for all your hard work! 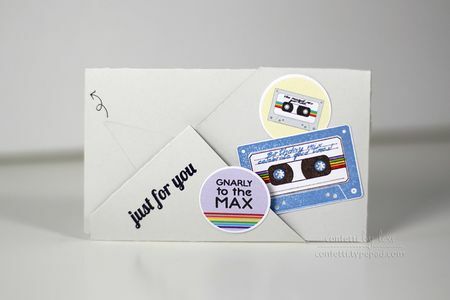 Well, I have yet to make my card for the 1980’s. Wow, those were some intricate paper notes. I do remember the Trapper Keepers, must have gotten them for my kids. Your tutorials were a hoot, Lexi! Love the folding of the notes, and plan to practice those. Loved the elements of the 80’s in your set, especially the glasses! Thanks for all the inspiration! 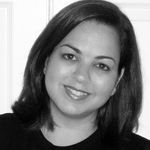 Lexi… I was blown away… do you know how long I’ve been using my Fiskars paper cutter – identical to yours – and didn’t know it could score paper?!! Duh! I must have left my brain back in the 80s… let me know if anyone finds it! I used to have a sweater with the rainbow of hearts on it! Thanks for the fun memory! This was so much fun, Lexi.. I am anxious to try the Trapper Keepers.. they will make great Christmas gift card holders! Your videos were excellent. Not only did I learn from them but was inspired Thanks so much! This was fun! Great tutorial on the Trapper Keeper! Really cute unique idea. Thanks for the lessons.